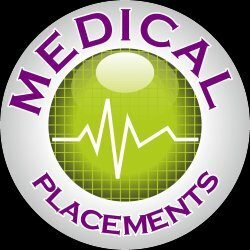 Our client is looking for a CNS for a Neuro Surgery theatre. You will be required to work shifts as agreed and applicable to the specific needs of the Theatre. •Liaise daily with Doctors, Anaesthetists and nursing staff in are of speciality to establish best practice and resolve problems timeously. •Responsible for the delivery and co-ordination of competent nursing care. •Acts as a resource person in the clinical speciality as a result of advanced and broad knowledge and skills in that speciality. •Supports and supervises less experienced staff, acts as a preceptor for new staff, and assists in the clinical teaching of learners. •Contributes to the ongoing research, development and review of best practice in the speciality. •Provides leadership in the clinical situation, and acts as an influential role model for best competent professional practice. •Professional nurse registered with the South African Nursing Council. •A post-basic qualification in the area of speciality, or evidence of competent experience in that field, together with contemporary skills and knowledge of that speciality. •Must be able to influence, motivate, develop and lead a team to ensure quality and productive clinical and professional nursing care. •Required to be able to apply critical nursing skills and judgment across a range of variable situations, and be able to anticipate problems. •Must demonstrate an advanced understanding of clinical governance and best practice processes and policies in the speciality. •Must demonstrate willingness to teach, and active participation in teaching and sharing knowledge and skills.